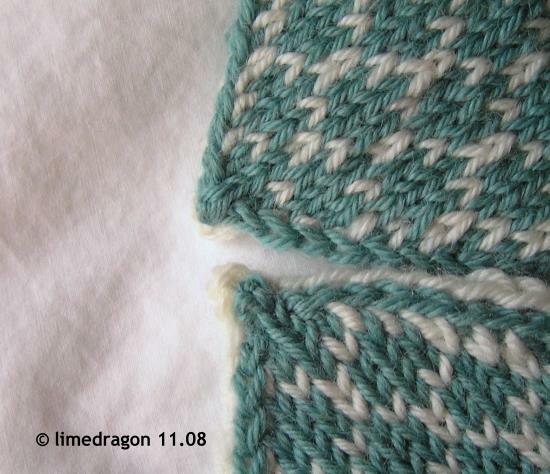 And the palm pattern is also lovely. I dreaded working these teeny tiny thumbs but they turned out to be pretty fun! I messed up most of the tips. 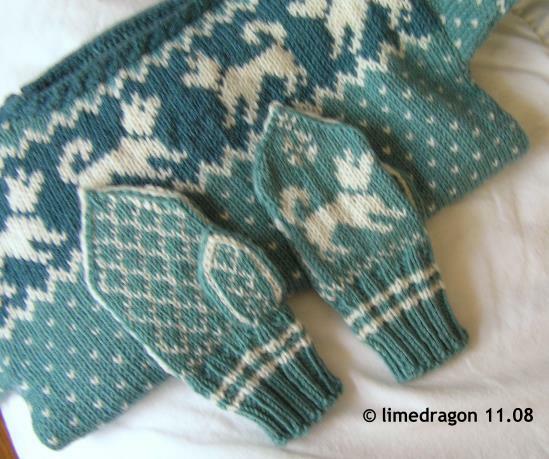 The first two times (on the mitten body) because I had used a centered double decrease (without thinking things through) during the last round. Ugh, these definitely look odd. For the thumbs, I made sure to use a nice, slanted double decrease during the last round, and the results are much better. 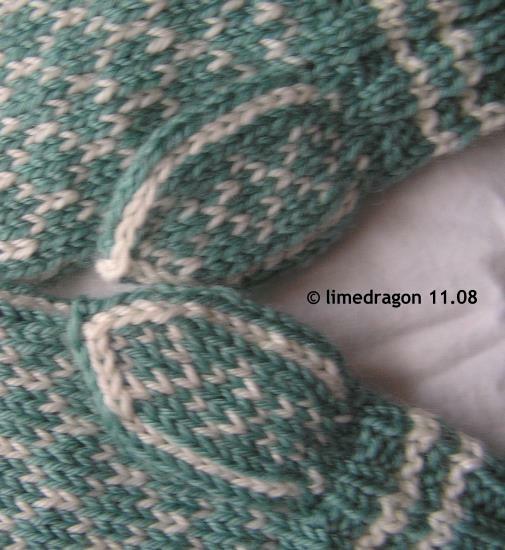 Except�with the first thumb (below, top mitten), I closed up the colors in the wrong order! What’s next? Lots of stealth knitting to complete before the holidays. This is really pretty. Great job! So cute!! I’m adding the pattern to my favorites in Ravelry now. Well now, I wouldn’t notice any mistakes at all! 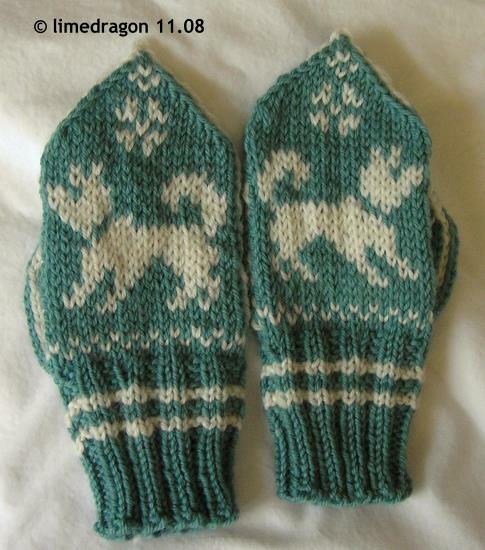 Such cute mittens :) You are so talented. 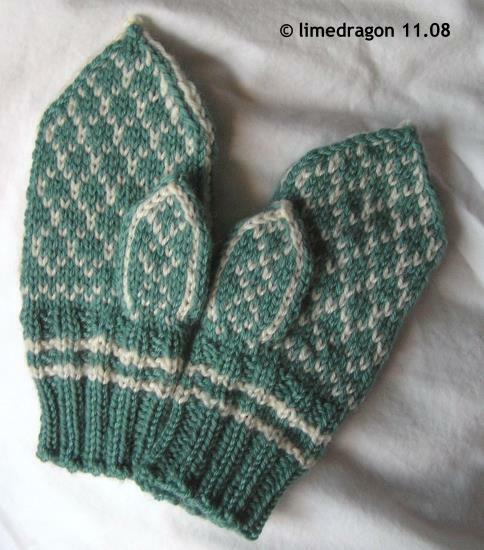 those mitts are too adorable for words! they don’t look odd to me at all. That is such a darling set! !